The first time John Tewhey caught a glimpse of his future wife Gloria they were in high school. I saw her walking down the corridor and thought she was cute, so I asked her out. She was fourteen and I was fifteen. We were married the week after I graduated from college. Sixty years later, in the early morning hours of September 29, 2017, John sat beside his beloved wife as she took her last breath. Sixteen months before then, she had been diagnosed with acute myeloid leukemia. We were having dinner in Bar Harbor and we were talking about how lucky we were. 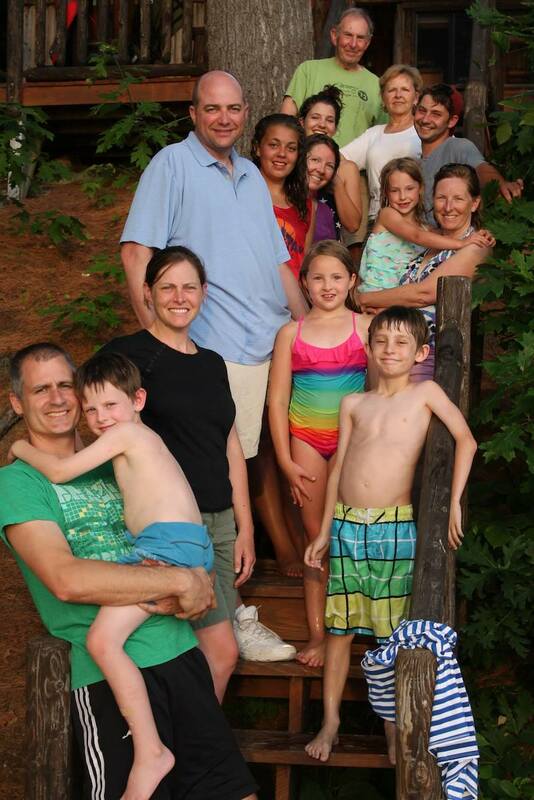 We had three healthy daughters and seven healthy grandchildren. We had everything. We left that restaurant and walked to our hotel which was on top of a hill. She said, I can’t walk anymore. I can’t make it up that hill. I ran up, got the car, and brought her up. The next day she was diagnosed with leukemia. Her blood system was 30 percent leukemic cells. If we did nothing, they said she would live about two weeks. They sent us down to Dana Farber in Boston. Doctors said she could go on maintenance therapy or have a bone marrow transplant. She opted for the transplant. Gloria wanted to be cured. She wanted to live to see her four youngest grandchildren graduate from high school. Her immune system rejected the transplant. She had a second one. 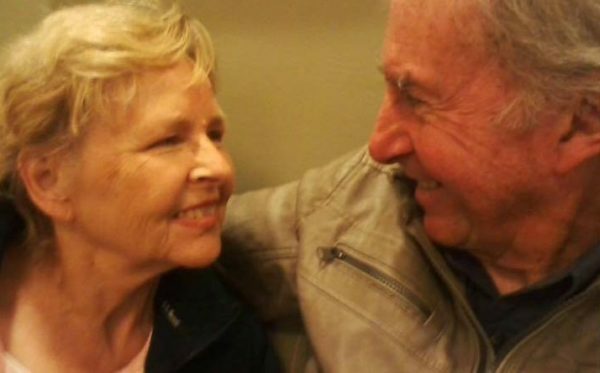 Several weeks before she died, Gloria told John she didn’t feel quite right. What no one realized at the time is that her kidneys were shutting down. The week before she died, she was admitted to a Boston hospital and even though by then he knew it in his heart, John did not want to admit that his wife was dying. In the end, says John’s daughter Kathryn, it wasn’t leukemia that killed her mother. In fact, she was in remission. It was a reaction to all the drugs she had to take — immunosuppressants, chemotherapy, and opioids. 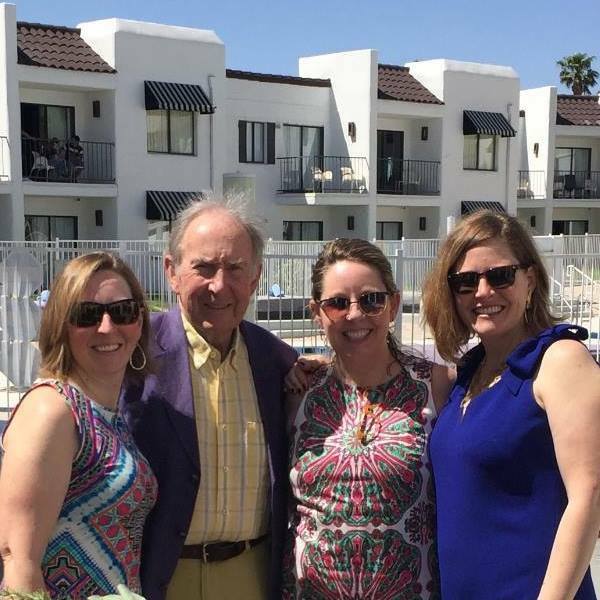 While John tried to come to grips with what had happened, Kathryn and her sisters Meridith and Allison started the process of making funeral arrangements. Right when Gloria died, they were the stalwart people going to the funeral home dealing with things and I kind of trailed along and then I found my legs. John and Gloria had talked about end-of-life issues in the past and had both decided that when their time came, they wanted a quiet family gathering. That changed for Gloria after she was diagnosed and after her friend, Jan Willis died of cancer. Gloria saw the tremendous outpouring of love and condolences from family and friends at Jan’s service and thought of the therapeutic effect that a celebration of her life might have on her own family if she were die. And one day she said, you know, I don’t want to go quietly. I said, we’ll have a celebration of your life in the garden. And she said, fine, I don’t want to talk about it again and we never did. There was no church service for Gloria after she died. Instead, there was a celebration of her life and more than three hundred people showed up. Each of our three daughters talked and they did just a terrific job. I had no idea what they were going to say. I introduced my family to everybody, my three daughters talked, and then we had an open mic. A number of other people talked and then I gave a brief history of what made Gloria happy. Some of the things that made Gloria happy were taking off on little trips with John and anything French. John loves to reminisce about both. She loved everything French. She was French-speaking before she was English speaking. We went to France five times. We would also get in the car and take trips to nowhere. One time we drove out to the end of Long Island and just stopped everywhere. We were gone about 10 days. Another time we flew to Washington, DC, rented a car, and headed south. We went to Kitty Hawk, Cape Hatteras, Charleston, and Savannah. Those were good times. Since Gloria’s death, John has spent a lot of time with his daughters and grandchildren, especially the four youngest, who live out of state. Gloria was always there for her children and grandchildren and he knows he can’t take her place. Instead, he has found his own. I can’t replace her, but I know I can be important in their lives. They always flocked to their mother because she was the she-bear, she was the nurturer. I visit them a lot and they’re always glad to see me. When I leave, my grandchildren ask, are you going to stay another night grampa? They’re disappointed if I can’t. He joined a bereavement class at Dana Farber. It was supposed to be five weeks, but it went to eight because people didn’t want to leave. It was eight people who had lost their partner to cancer in the last year, so we had something very much in common. It was very comfortable talking with all of those people. They all grieved differently, but it was very helpful. Today, John has fewer friends than he used to, but deeper friendships. 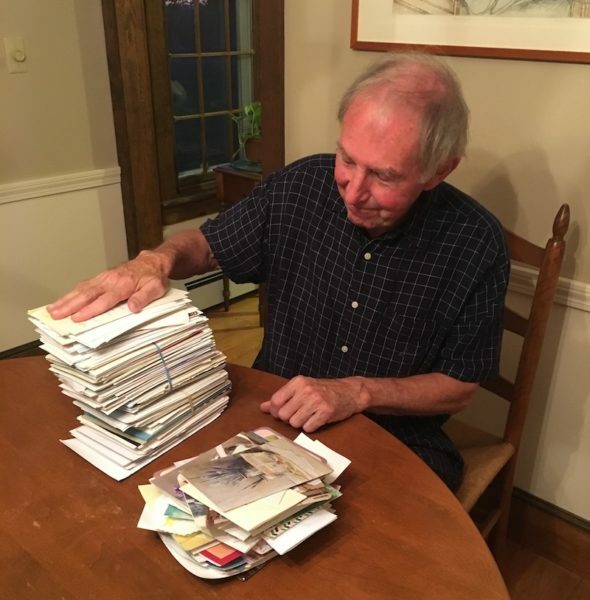 He got 400 cards, notes, texts and emails after Gloria died and he responded to each person who wasn’t able to attend the celebration of her life. He still gets cards, note, texts, and emails and he still responds — about two hours every morning. I have 200 cards in there that I’ve gotten just in the past 90 days and I get emails that say, how are you doing? If people are going to have enough interest to ask me how I’m doing, I’m going to respond. I’m going to write letters. If people take the time to come to me, I’m going to pay attention to them. That’s what I do. Some things are harder than others. I grieve for our missing community of friends because that is in the process of changing. 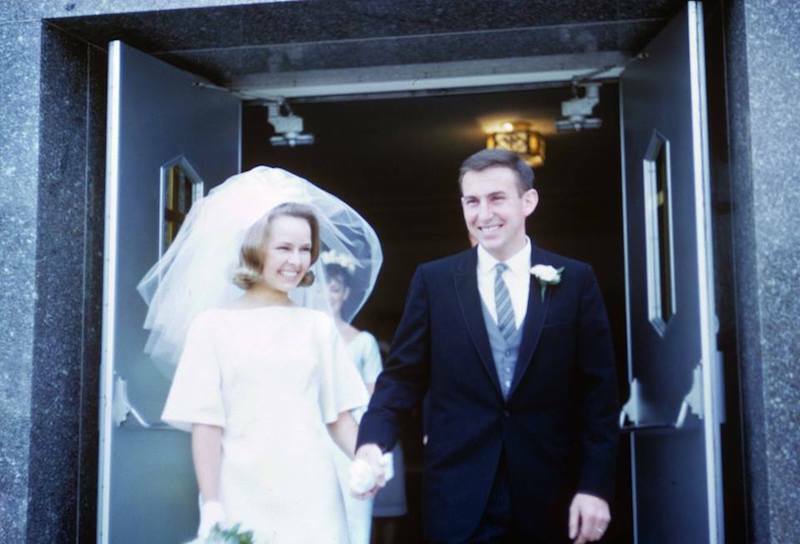 John is exploring ways to continue friendships with the many couples that he and Gloria saw frequently and with whom they enjoyed dinners, travel, and cultural events. He says being the only single person amongst couples can sometimes be awkward. He has been inviting couples to his home for dinner, where the wives can help him as co-hosts. That has become a comfortable means for him to maintain old and cherished friendships. He also often has breakfast or lunch with friends, but there are a few who have drifted away. I belong to several organizations and go to meetings. Some people I used to be very friendly with make sure not to engage with me. They don’t know what to say. Just say I’m sorry. I’m happy to talk about Gloria. I love talking about Gloria. As he deals with his own grief, John tries his best to support his daughters and grandchildren. And if he hears that someone outside his family is having a tough time or has recently lost a loved one, he often reaches out. I write them a letter if I know them. I write letters when they’re sick, letters after they’ve died. I’m having breakfast with a friend whose wife just died. I pay attention because I know what people paying attention has done for me. This past fourth of July John and his daughters finally cleaned out some of Gloria’s things. We weren’t able to do it before then because it was so raw. All three girls were there. We took out items we wanted to keep and still had five bags of clothes — six loads of things. And there so many things we found that we didn’t even know about her. We’d had people over for dinner for 58 years and I discovered that every time, she wrote down who came and what she served. Gloria Tewhey’s family will be sitting down to dinner without her this coming September 29th as they mark the first anniversary of her death. We’ve got the sun porch reserved at Black Point Inn. All my daughters and all their husbands and all their kids are coming. We’re going to have a celebration of Gloria. A Glorious day. As we learned in part one of Living with Grief, no two people grieve the same way. And unlike Jackie Conn and John Tewhey, not everyone feels intense grief when a significant person in their life dies. For instance, some people may feel relief because they had an unhappy or abusive relationship and then, surprisingly, may feel guilty about it. Others may feel angry or disappointed because they always thought that someday amends would be made and now the person is gone. In part four of Living with Grief, we’ll talk about that and also about what’s known as disenfranchised grief — grief that may go unrecognized or is not acknowledged. An example is when you lose a pet that played a significant role in your life.